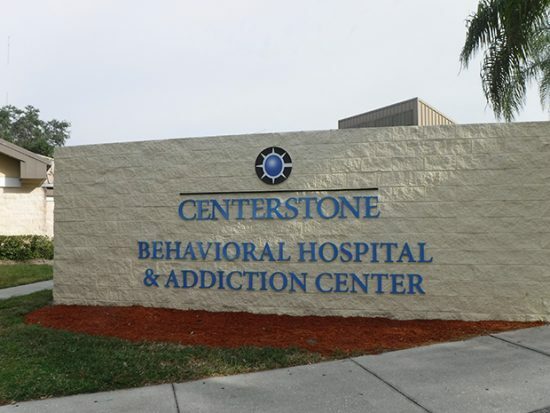 Centerstone cares for more than 15,000 people a year throughout our five locations in Florida, including our Behavioral Hospital and Addiction Center. Our staff of more than 450 doctors, nurses, counselors, case workers, leaders and support staff serves one out of every thirty families in our community. 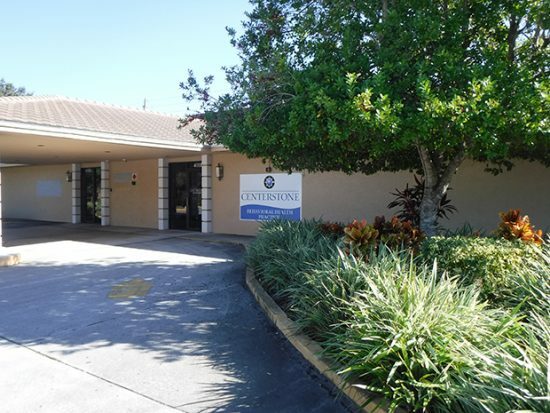 Situated in the Bradenton/Sarasota area – around 40 miles from the Tampa International Airport and less than 10 miles from the Sarasota-Bradenton International Airport – Centerstone has more than 450 physicians, nurses, counselors, case workers, leaders and support staff who serve one out of every 30 families in our community. We accept most insurances – including Medicaid, Medicare and many commercial insurance plans. If you don’t have insurance, ask us about payment assistance. Florida is home to Centerstone’s Behavioral Hospital and Addiction Center, where we help people from all over the country suffering from drug and alcohol addiction 24 hours per day, seven days per week. We even accept out-of-state Medicare patients. Learn more about the Behavioral Hospital and Addiction Center. Centerstone Addiction Center offers treatment options that are affordable and accessible for you. We are IN NETWORK with most major insurance providers, which means that access to care is just a phone call away. Our caring finance team will handle all of the necessary steps with your insurance provider and help you determine the right options for you. If you have questions about how your insurance applies, you may discuss your options by contacting 941-782-4150 or email: CFLCentral.Info@centerstone.org or with the Addiction Center Liaison (941-782-4617) or email: CFLCentral.AddictionsInfo@centerstone.org. Centerstone partners with financing companies willing to underwrite your care. Payment plans are also available. 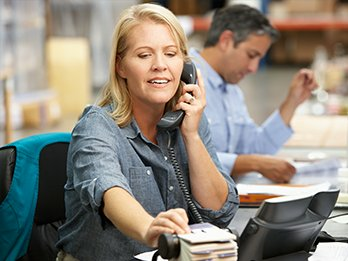 To contact our Billing and Collections office, call (941) 782-4318. Paying for health and wellness, even under the best of circumstances, can be a major challenge. But when a family loses their way due to addiction or behavioral health issues, the financial demands can become even more daunting. The Centerstone Scholarship Program was established to assist families/individuals in their quest for a better future because everyone deserves a chance for health and wellness no matter what their financial status. Income – Priority is given to low-to-middle-income applicants, as defined by the federal poverty guidelines from the Department of Health and Human Services with little or no means to pay for behavioral health or addiction care. Crisis Level Behavior – Consideration will be given to individuals that self-harm; exhibit hurtful aggression on self, others or property; have a life-threatening health risk; cause high-level disruption; or demonstrate other crisis level behavior. Other – Centerstone will follow any additional requirements or criteria for the distribution of awards as designated by the donor(s) providing the scholarship funds. Information on average payments and the payment ranges is an estimate of costs that may be incurred. Actual costs will be based on the services actually provided to the patient. A more personalized estimate of service charges and information is available upon request. Prospective patients may pay less for service at another facility and may contact his or her health insurer or health maintenance organization for additional information on cost sharing responsibilities. How can I access and afford my medications? We can offer a variety of solutions to meet your medication needs. We offer in-house specialty pharmacy services through Genoa. Our skilled pharmacists can discuss all of your options including assistance programs for which you may qualify. These programs include assistance through the Florida Alcohol and Drug Association and the Vivitrol Co-pay Savings program. Additionally many insurances cover the costs of medications. If you have questions, please call us at (941) 782-4600. 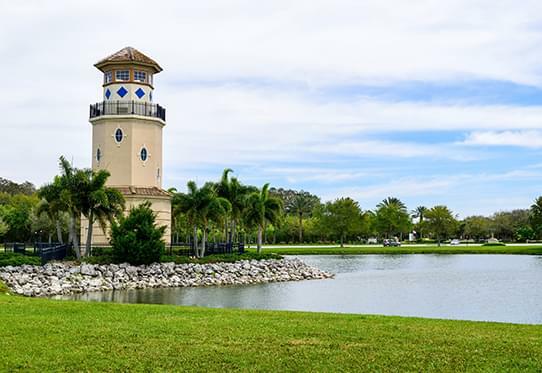 If you’ve never visited Centerstone before, please call us at (941) 782-4150. If you have questions about our services, contact us today. Access Center is the designated mental health receiving facility and accepts clients on a voluntary and involuntary (Baker Act).. If you or your loved one is in a crisis situation, the Adult Crisis Center is a temporary and.. 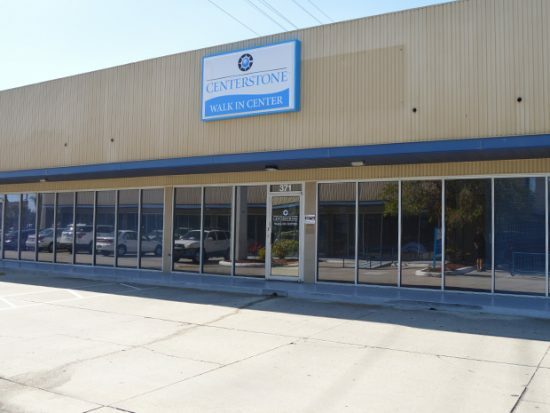 The Centerstone Access Center provides assessment and screening services 24 hours per day, 7 days per week for both.. The Centerstone Children’s Crisis Center provides intensive treatment for children and adolescents who have emotional disorders. Schooling and recreation.. If your child or teen is in a crisis situation, the Children’s Crisis Center provides intensive treatment for children..
Centerstone Florida’s Employee Assistance Program (EAP) offers employers solutions for off-the-job problems affecting the work place. Savvy employers contract.. When a family needs hope and healing Centerstone is ready to assist with Family Concierge Support services to those.. The Hospital provides psychiatric and other mental health services for adults. Group therapy, individual and family therapy, as well..
Medication-assisted therapy is provided for support in recovery from pain pill and opioid addiction. Detox services are also provided.. If in-patient is not determined to be the best avenue of care, outpatient services are also available through the.. When a physician or faculty refers a patient to Centerstone, he or she can be assured that their patients.. The Regional Children’s Community Action Treatment (CAT) Team is a self-contained multi-disciplinary clinical team that provides comprehensive, intensive community-based.. The Addiction Center Residential Treatment Program treats individuals suffering from substance use disorders. We provide therapy, support, and tools.. Sexual Assault and Trauma Services provides crisis intervention and support services to survivors of sexual assault and to their.. The Sexual Assault Nurse Examiner (SANE) Program which provides forensic exams for sexual assault victims as an alternative to.. In all of our areas of service, Centerstone provides a specialized professional team focused on your care. A traditional..
Walk-In Center provides immediate crisis intervention assessment and referral, and short-term counseling services for individuals who are experiencing personal.. There are no current events in this state. Please check back soon. If you can’t find what you’re looking for. Perhaps searching can help. Melissa Larkin-Skinner is the Regional CEO, Florida. She is responsible for clinical and fiscal oversight of clinical operations. As a Licensed Mental Health Counselor, she has nearly 25 years of experience in mental health and addictions treatment programs including hospital, outpatient, crisis, community-based, forensic and child welfare services. Melissa has designed and operated innovative programs to meet community needs such as the Community Action Teams adopted as a statewide model. In August 2016, she received the Florida Alcohol and Drug Abuse Association Administrator of the Year for her work in combating the opioid epidemic in our community. Roger Johnson is the Chief Administrative Officer in Florida where he oversees operations in Florida, including medical, outpatient, and residential services. He will also oversee facilities management, help lead business development and marketing, and implement Centerstone’s strategies for high quality care delivery and growth to ensure the organization meets the needs of the communities. Johnson has lived in Bradenton, FL for over 45 years and has been employed by Centerstone since 1994. He has a bachelor’s degree in business. Jane Roseboro is the Vice President of Community Alignment at Centerstone. She has been with Centerstone since 2009 and has been working to help those with mental health and substance abuse issues for more than 18 years. Roseboro started with Centerstone as a counselor in the Children’s Substance Abuse and Mental Health Program. After less than a year, she was promoted to Supervisor over Children Substance Abuse Program to include outpatient counseling and prevention services. Later, Roseboro began managing other community based programs such as the Manatee County Drug Court Program. 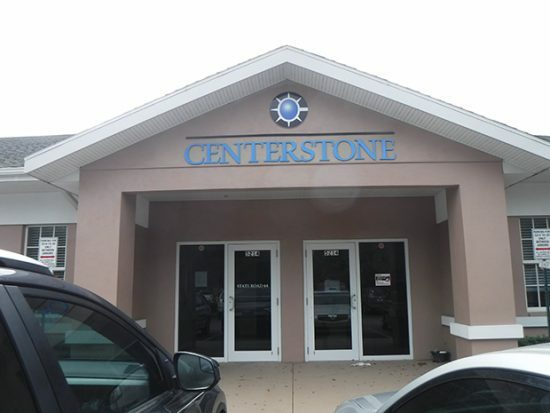 Due to the excellent care that Centerstone staff provide, Centerstone continued to grow and as a result she began managing all of the new Centerstone Treatment Courts in Sarasota County as well. Roseboro was promoted to Director of Forensic services were she oversees the drug court and jail programming in Manatee and Sarasota Counties, Comprehensive Treatment Court Jail Diversion Program in Sarasota, Homeless and Forensic Outreach in Manatee County, and Integrated Care at the Department of Health in Sarasota and North Port. As Vice President of Community Alignment, Roseboro continues to oversee the same programming in addition to the four FACT teams in Manatee, Sarasota, and Lee Counties. She serves on several community workgroups and boards. She focuses on continued growth efforts in these counties, as well as in the areas of forensics and integrated care. Roseboro has a BA in Psychology and a MA in Sociology with dual concentrations in addiction and family. Before coming to Centerstone, Roseboro worked for 4 years as a clinician in a residential program for pregnant women with substance abuse issues. Prior to that she worked at a substance abuse treatment center in Pennsylvania where she gained experience in a variety of treatment settings including outpatient, intensive outpatient, partial hospitalization, residential, and detox. Sean Gingras is Chief Financial Officer in Florida. After college, Gingras began as an Audit Intern for a Big Five accounting firm and within three years became an Audit Supervisor at a local firm. In 2007, he became a Certified Public Accountant (CPA). Gingras joined Centerstone as the Director of Finance in early 2010. Gingras is a current member of the American Institute of CPAs, Florida Institute of CPAs, the Government Finance Officers Association, the Florida Government Finance Officers Association, Healthcare Financial Management Association and the Manatee Young Professionals. He is also a current Finance Committee member for the Humane Society of Manatee County, Finance Committee member for the Central Florida Behavioral Health Network and a Board member of the Pinnacle Plaza Condo Association. He studied accounting at both the University of Florida, where he received a BA and at the University of Central Florida, where he received his MBA in Accounting. Ranjay Halder is the Medical Director, Florida for Centerstone. He attended Spartan Health Sciences University and completed his residency at East Tennessee State University (Chief Resident). Halder holds a fellowship with Palmetto Health/University of South Carolina School of Medicine and his academic appointments include Adjunct Clinical Assistant Professor, Lake Erie College of Osteopathic Medicine. Halder is a member of the American Academy of Child and Adolescent Psychiatry and the American Society of Addiction Medicine. Bob Boxley is the Director of Clinical Education for Florida’s Psychiatry Residency and Doctoral Psychology programs. He has been involved with the training of the next generation of doctors since 2001; nearly 200 doctors have received training under Bob since that time. Boxley has a PhD in Clinical Psychology and has been licensed as a psychologist for 20 years. During that time, he has worked with adults, children and adolescents in a variety of behavioral health areas. Prior to becoming a psychologist, he worked as a therapist in hospital and clinic settings for 17 years, working predominantly with children, adolescents and young adults. Boxley has a number of professional and research interests, including trauma, co-occurring disorders, positive psychology, childhood disorders. Samantha Kolb is the Director of Addiction Center in Florida. She graduated from Florida State University with both a BA and MA in Social Work. Kolb is a Licensed Clinical Social Worker with nearly 10 years of experience in behavioral health. She specializes in addictions treatment and currently manages the Adult Addiction Continuum that includes Inpatient, Residential, Outpatient, Medication Assisted Treatment, HIV and Community Based Family Programs. Charles Whitfield, MEd, is a Certified Life Coach and the Director of Community Care in Florida. He graduated with a BA in Business Administration and a MA in Elementary Education from Temple University in Philadelphia. Whitfield has been working for Centerstone since 2008, managing multiple programs including the Walk in Center, Homeless Outreach, Family Safety Intervention Program, Children’s Substance Abuse Prevention and Intervention Teams, Community Paramedicine Program and the Employee Assistance Program (EAP). Marilyn Agee is the Director of Nursing at the Florida Mental Health and Addiction Hospital. She has 27 years of experience with Centerstone in supervising nursing care for adults, children and families seeking Mental Health and Addictions services. Agee received a BS in Nursing from Millikin University and certified as a Master Manager in 1995. Linda Transue is the Performance Improvement/Risk Management Director in Florida. She is a Certified Professional in Health Care Quality, a Licensed Health Care Risk Manager and a Registered Health Information Technician. Transue has over 20 years of experience in Performance Improvement and has been Centerstone’s Corporate Risk Manager since March 2006. She has also been Centerstone’s Joint Commission Coordinator since 1999. Michelle Abercrombie, Director of Facility Management in Florida. She directly oversees the maintenance, housekeeping, dietary and transportation departments, and, as a Director, is also responsible for the entire Physical Plant operation, as well as all of Centerstone’s outpatient facilities. Her priorities are maintaining a safe, secure and healing environment for clients and staff, as well as keeping Centerstone audit ready for all agencies. Abercrombie also serves as the Safety Officer and Chairperson of the Environment of Care Committee, dedicated to identifying and resolving safety issues for staff and clients, conducting internal drills, She also represents Centerstone on the ESF8, Manatee County Emergency Operations Center, and Organizations Active in Disaster. Abercrombie has studied at Manatee Community College, Texas A&M Engineering, The Department of Homeland Security, and FEMA, and has been certified with Emergency Management Institute, completing ICS 100 for health care and hospitals. Abercrombie grew up in Manatee County, working in the community for over 25 years with Volunteers of America, Owner/Operator of Abercrombie Painting LLC., as well as her family’s businesses which included landscape architect and design. Maritza Solis is the Executive Assistant to the CEO, the VP of Business Development and the Board of Directors in Florida. She is passionate about her job and believes in helping others and giving back to the community. Solis has been with Centerstone for 3 years, and previously held a position as an Executive Assistant to the CEO and Directors at a Behavioral Health company in California. She has served in a number of administrative positions throughout 10 years.